New Year! New Price! New You! Start INVESTING IN 2019 with this prime property priced under other recent sales in the building. What a VALUE! 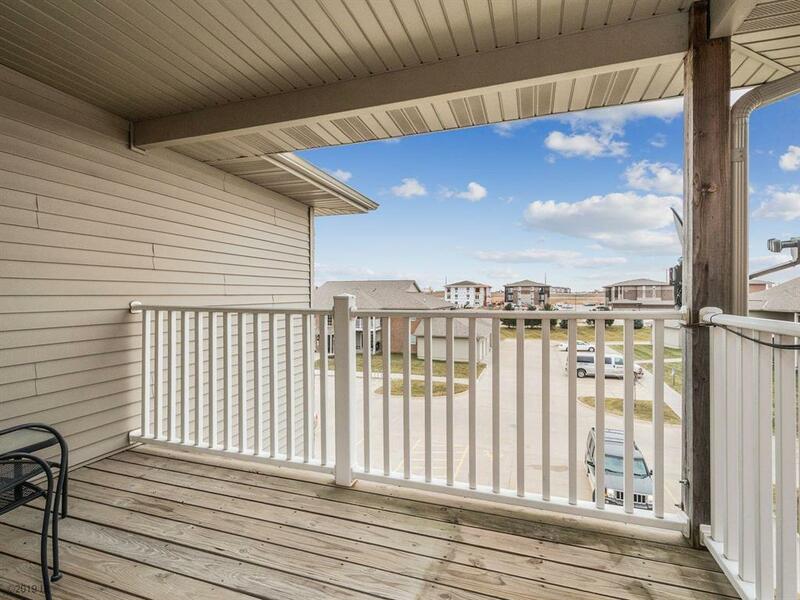 Super quiet condo has only one adjoining neighbor, over-sized/covered deck, sunrise views & a private single garage. TOP FLOOR means penthouse views, no neighbors above you& taller/vaulted ceilings than anywhere else in the building. Receive a built-in benefit of low heating costs, heat rises! Rarely turn on the furnace but bump the FIREPLACE on when needed to whisk away any chills. Dishwasher new w/low decibels, washer & dryer & all appliances included. Community is conveniently located right off of 141 w/fast access to anywhere in the metro. Listing provided courtesy of Iowa Realty Jordan Creek. © 2019 Des Moines Multiple Listing Service.